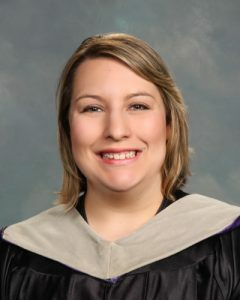 Dr. Danielle Hurd, or Dr. Danielle as she prefers to be called, is the clinic director at Advanced Wellness Solutions. Dr. Danielle’s goal is to provide natural restoration of health to the spine and nervous system. She provides this natural alternative through chiropractic care and nutritional guidance. Dr. Danielle has been a chiropractic patient since she was participating in sports as a child growing up in East Central Indiana. She decided to become a Chiropractor so she could provide the same natural approach to health that she has experienced firsthand. Dr. Danielle was homeschooled from 7th-12th grade and moved to Florida with her parents when she was 17 years old. She earned a bachelor of science degree in biomedical science from the University of South Florida in Tampa, FL. and earned her Doctorate of Chiropractic Medicine from Palmer College of Chiropractic Florida. Dr. Danielle is trained in Grostic technique and Palmer Package. She is a proud member of the Florida Chiropractic Association. 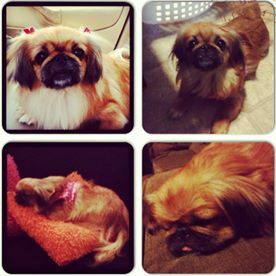 While studying at Palmer, Dr. Danielle adopted an elderly Pekingese and named her Wanda. Wanda inspired the creation of Senior Dog Rescue, a Facebook page that encourages the rescue and adoption of senior dogs. Wanda may have had a rough start in life but she’s living the good life these days. She’s usually a sweet dog who loves most of the people, most of the time. If she doesn’t initially approve of you, she will immediately change her opinion if you give her a dab of cream cheese. Dr. Danielle and Wanda share their space at home with two ferrets (Harvey and Peanut), and a guinea pig (Bucky). Dr. Danielle maintains a Senior Dog Rescue resource page on Facebook. She actively supports rescue efforts with her time and her money.